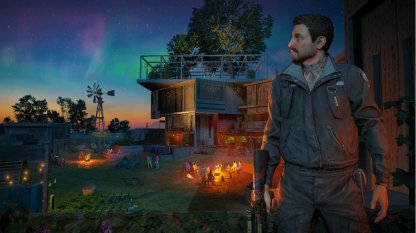 Welcome to the Far Cry New Dawn: Strategy Guide & Walkthrough! 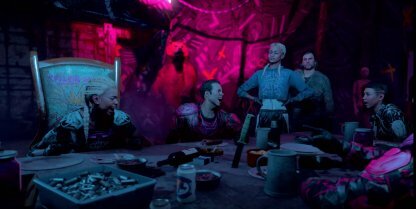 Here you will find everything to know about Far Cry New Dawn, including story walkthrough, items and weapons, latest news, play tips & more! Liberating Outposts What Are Expeditions? 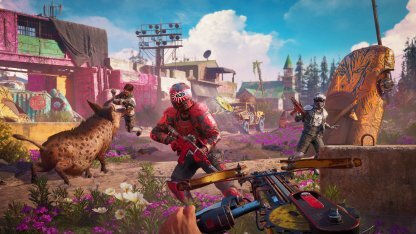 What Is Far Cry New Dawn? 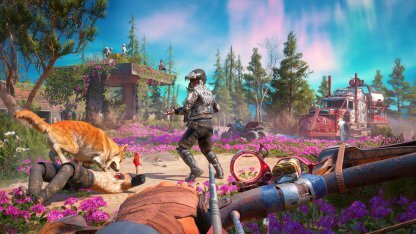 Far Cry New Dawn puts you in a post-apocalyptic Hope County, Montana, seventeen years after Far Cry 5's nuclear catastrophe. 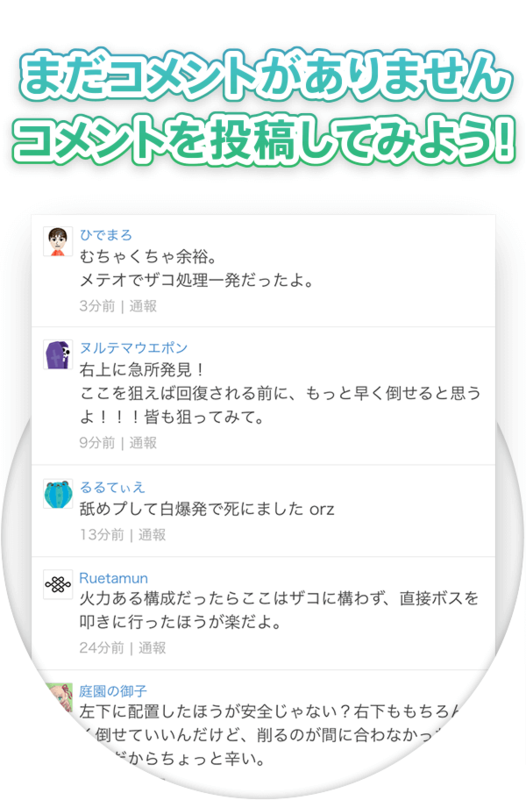 Though civilization has reemerged, mankind is divided, with each fighting for their own survival. 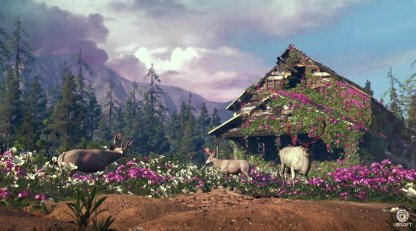 The world of Far Cry New Dawn has been reclaimed by colorful plants and animals, growing from the remains of the old world. 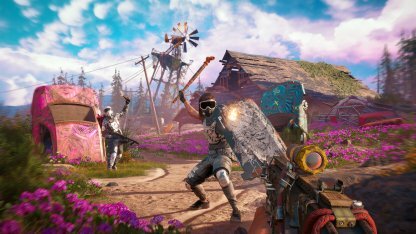 In Far Cry New Dawn, you craft your own weapons and vehicles from scraps. Discover new weapons and unleash chaos to your foes. 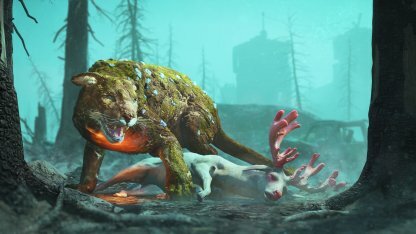 Far Cry New Dawn's world is dangerous, so don't fight alone! Guns for Hire and Fangs for Hire gameplay features make a return to help you battle Highwaymen. 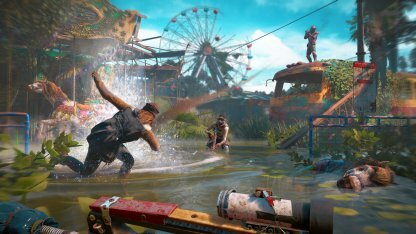 Far Cry New Dawn introduces new ways to enjoy the game, including Expeditions, which sends you to missions across the post apocalyptic USA. You can now also replay liberated Outpost missions, with tougher challenges earning more valuable rewards. 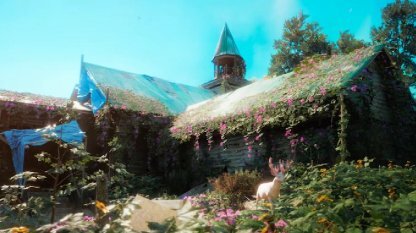 Taking place 17 years after Far Cry 5 and Joseph Seed's prophecy of nuclear holocaust, Hope County, Montana has sprung back to life covered in a "superbloom" of new plant and animal life. What remains of civilization now fights for survival in a lawless frontier. Twin sisters Mickey and Lou lead a band of ruthless scavengers known as the Highwaymen. In the new world, these sisters prey on the weak and plunder everything in their path. 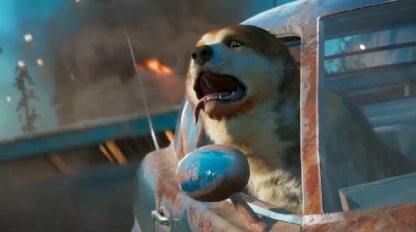 Their next target - Hope County. 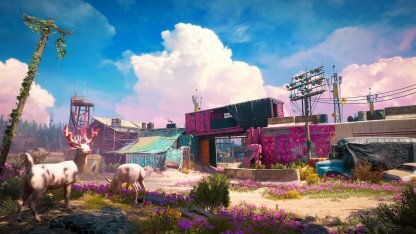 While the location is all too familiar, the post apocalyptic Hope County offers a new take on Far Cry 5's map after the nuclear event known only as the Collapse. With the new flora and fauna, new threats have also emerged to fight with. 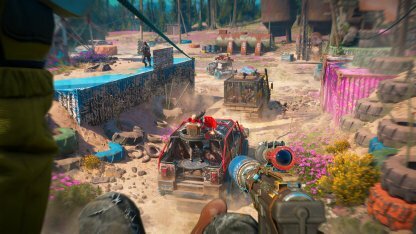 Far Cry New Dawn, the standalone sequel to Far Cry 5, is set 17 years after a nuclear doomsday, in a world reclaimed by nature and covered in a lush "superbloom" of colorful plant life. Fight for survival in a lawless frontier where Highwaymen prey on struggling Survivors, and experience it all in highly replayable solo or co-op gameplay. 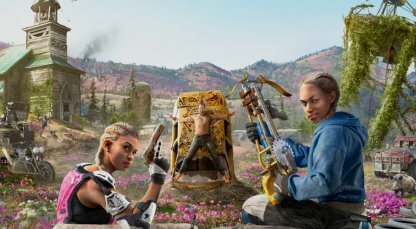 Far Cry New Dawn, the direct sequel to Far Cry 5 is set to release on February 15, 2019! 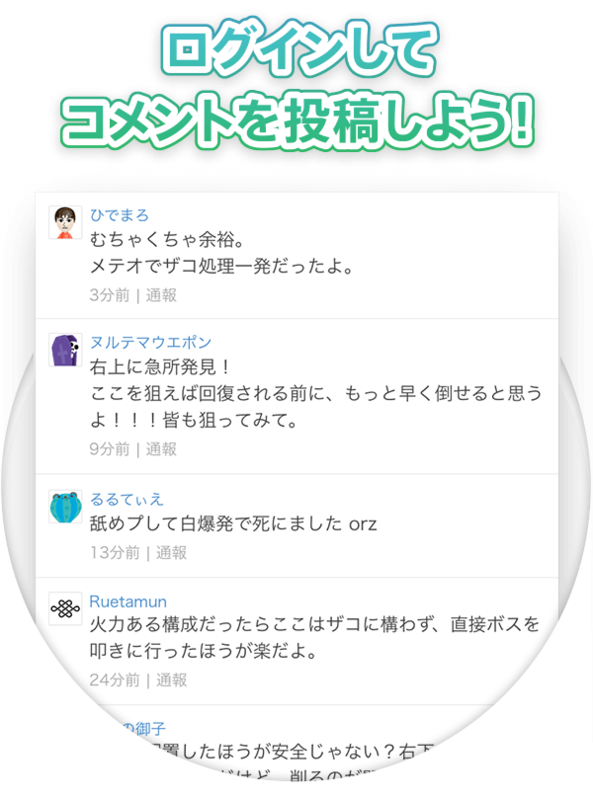 It will be available on the PC, PlayStation 4 and Xbox One! The Standard Edition is the most basic of the bundles with only the base game included. 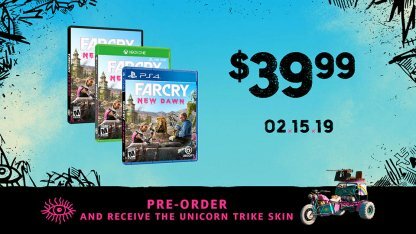 Purchasing the game before it's release date will also give you the Unicorn Trike Skin as a pre-order bonus. 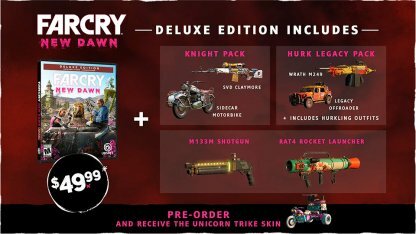 The Far Cry Deluxe Edition includes the Knight Pack and Hurk Legacy pack with each pack having a DLC weapon and a DLC vehicle. 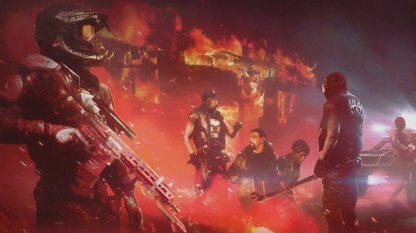 The Deluxe Edition also comes with the M133M Shotgun and RAT4 Rocket Launcher. You also get the same pre-order bonuses as the Standard Edition if you pre-order. 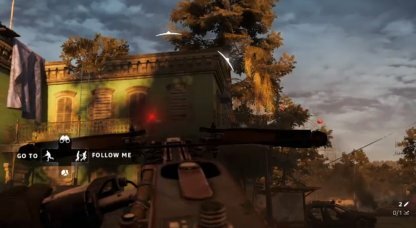 ©2019 Ubisoft Entertainment. All Rights Reserved. Far Cry, Ubisoft, and the Ubisoft logo are trademarks of Ubisoft Entertainment in the US and/or other countries. The “PS” Family logo is a registered trademark and “PS4” is a trademark of Sony Computer Entertainment Inc. Software platform logo (TM and ©) EMA 2006.